Alison Lehmann Edwards, Chief Executive Officer, (714-480-6573) has been involved with the organization since 1998. She served as program director for the BRIDGES program and then Deputy Director of the organization before becoming CEO in late 2017. Alison has a passion for leadership and has served as a leadership trainer and speaker. Alison earned her Bachelor of Arts degree in Ethnic Studies and American Studies from the University of Colorado at Boulder and earned her Masters of Arts in Cultural Studies from Claremont Graduate University. 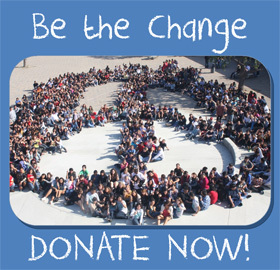 The fundamental framework of OC Human Relations’ Community Building, Mediation, and BRIDGES programs are empowerment strategies rooted in grass roots organizing, diverse leadership development, and creative conflict resolution. Antonio Benitez, Human Relations Specialist, (714-480-6586) grew up in the Oak View neighborhood of Huntington Beach, CA and graduated from San Diego State University with a B.A. in Latin American Studies.While in college, Antonio became aware of his agency and advocated for social justice issues through his involvement in student groups MEChA de SDSU and UFW San Diego Support Committee. Upon moving back to Orange County, Antonio worked as a substitute teacher for several years and as a student advisor for a local non-profit after school program. He believes strongly in empowering youth as positive agents of change by raising their awareness through culturally relevant education and training. Antonio continues to work with the residents and youth of Oak View, a culturally rich neighborhood that’s historically been underrepresented, by helping them advocate for issues like ethnic studies, renter’s rights, immigrant rights, and environmental justice. Barbara Hunt, Grants Manager and Writer, (714-480-6574) joined the OC Human Relations’ staff in 1996 after serving as a volunteer. She worked on the Dispute Resolution Program for five years as a mediator and mediation trainer and created the Common Ground Community Program. She then moved to the Community Building Team as a Senior Human Relations Specialist dealing with issues involving community conflict intervention, human relations awareness training and education, and worked with residents throughout the county to empower grassroots leaders and develop diverse leaders. She has served on the Development Team since 2007. Her journalism background led her to OC Human Relations where she was able to have a more hands-on approach to creating a safer, more inclusive, equitable and respectful community for everyone. Chris Hernandez, Restorative Justice Specialist, (714-480-6570) grew up in Mission Viejo and graduated from Azusa Pacific University in 2016 with a Bachelor of Arts in Communication Studies and a minor in Leadership Studies. 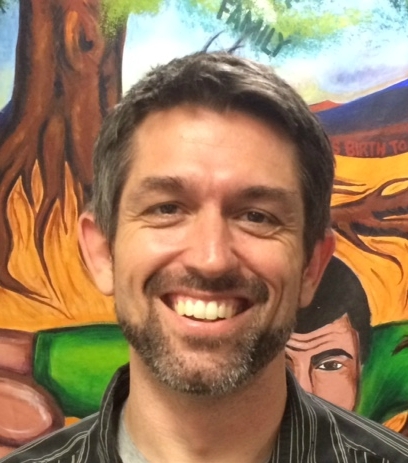 Prior to Joining OC Human Relations in 2019, Chris worked for Resolve Center for Dispute Resolution and Restorative Justice in southern Oregon as a restorative justice specialist. Chris has also worked as a mediator for small claims, civil harassment, and landlord/tenant cases at Harbor, Central, and North Justice Center in southern California. He currently serves Ball Junior High School as their on-site restorative justice specialist with a passion for helping students and staff connect with each other on a human level to build community, repair harm, and transform relationships. Cinthia Tejeda , Human Relations Specialist, (714-480-6572) graduated from UC San Diego with a Bachelor of Arts in Ethnic Studies and a minor in Healthcare Social Issues. She earned her master’s degree in Social and Cultural Analysis of Education from the California State University, Long Beach. Cinthia’s work has focused on working with underrepresented student populations in low income neighborhoods providing college advising and financial literacy services. She values the importance of youth empowerment and awareness in order to create change in communities that are most affected by institutional injustices. Cinthia is committed to working with students and families to provide equitable opportunities for success through education and community centered resources. Don Han, Operations Manager, (714-480-6576) has been with OCHRC since 2001. Prior to becoming the Operations Manager, Don was the Hate Crime Prevention Program Coordinator who also responds to reported hate crimes and hate incidents in the county. In his time with OCHR Don has worked with the BRIDGES team and co-organized the Annual Gala. 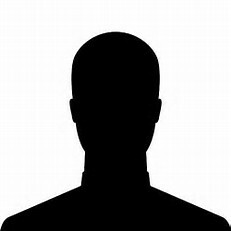 He has authored the agency‘s Hate Crime Report and provided Hate Crime training. Don serves on the Board of the California Association of Human Relations Organization (CAHRO), and was a former chair of GLSEN’s Orange County Chapter and a former Human Relations Commissioner for the City of Santa Ana. He earned a Sociology Degree from Cal State Fullerton, is a Certified Mediator, speaks Lao and Thai. Edgar Medina, Community Capacity Building Coordinator, (714-480-6577) has been with OC Human Relations for more than 10 years. He coordinated and conducts the Parent Leadership Institute and designs community building models for organizational interventions as well as community/parent leadership curriculums. Edgar is fluent in Spanish and has a heart for empowering the disenfranchised residents in the community. He provides support for community-police dialogues, researches funding for community building initiatives that support the empowerment, and provides technical assistance to various neighborhood groups. He earned his degree in Political Science from the University San Cristobal de Huamanga in Peru and has a degree to practice law there. He did his post graduate studies at the National Institute of Public Administration in Madrid, Spain, and earned a Master’s in Public Administration from California State University, Fullerton. Irma Zamora, Bilingual Office Assistant, (714-480-6593) is an Orange County native, born and raised in Santa Ana. She graduated from Amherst College with a degree in Spanish and a Certificate for Latin American, Caribbean, and Latinx Studies. Throughout college, she focused her work on Latinx issues, helping to create the Latin American and Latinx Studies program at Amherst. She interned with OCHR as a Community Building Intern focusing on the Hate Crime report. She loved the work the organization does so much that she decided to come back to join the team! Joyce Sanchez, Human Relations Specialist, (714-480-6580) has been working for OC Human Relations since June, 2009. She graduated with a Bachelor’s Degree in Human Services from California State University, Fullerton in 2008. From 2009 to 2012, Joyce worked as a mediator with our Dispute Resolution Program providing mediation services to the community and at court. She has also worked with youth, engaging and motivating high school students through our Skills for Success program to improve their grades and work toward a higher education. Currently, Joyce works on the Community Building Team empowering low-income residents to increase their civic engagement and building bridges between them and service providers. Her focus is on the gathering of Hate Crime information, producing the Hate Crime Report, Police Community Dialogues and the Police Community Relations Program (PCRP) to build better working relationships between police officers and residents. Julie Vue, Program Director, BRIDGES Safe & Respectful Schools Program and Restorative Schools Program (714-480-6589) has been with OC Human Relations since Fall 2016, starting off as a BRIDGES Human Relations Specialist. Now serving as the Program Director, Julie helps lead a team of passionate individuals dedicated to working with students, parents, teachers and administrators in schools across Orange County to improve school climate and create safe, inclusive, equitable and restorative schools. They graduated from UC Irvine with a Bachelor of Arts in Political Science and minors in Gender & Sexuality Studies and Civic & Community Engagement and earned a Master of Arts in Education with emphasis on Social and Cultural Analysis from Cal State Long Beach. Kathy Shimizu, Dispute Resolution Program Coordinator, (714-480-6581) has been involved in conflict resolution and advocacy Since January 2000. In 2007, Kathy received her Master’s Degree in Negotiation, Conflict Resolution and Peace Building from California State University, Dominquez Hills. In addition, Kathy has participated in multiple mediation-specific trainings focusing on facilitative mediation skills, divorce mediation skills, and court-connected family mediation skills. Kathy also received training as a Relationship Enhancement trainer for the National Institute for Relationship Enhancement (NIRE) and has been trained in domestic violence and child advocacy. Kathy has convened and mediated hundreds of mediation cases in a variety of settings including divorce and other family matters, small claims, unlawful detainer, civil harassment, community neighbor-neighbor disputes, juvenile victim-offender, and employee relations. A credentialed teacher prior to becoming a mediator, Kathy has utilized her teaching expertise to develop trainings in the areas of child advocacy, basic mediation, communication skills, civil harassment mediation, and divorce mediation. Most recently, Kathy has developed and implemented an extensive in-court practicum designed to provide mediators with real-life opportunitiesm to refine skills in a structured, mentored setting. Kathy Tran, Human Relations Specialist, (714-480-6571) grew up in Santa Ana and first got involved with OC Human Relations as a youth leader through the BRIDGES Program. During her time in BRIDGES, she graduated from HRAP and served on the OC Human Relations Board of Directors. She graduated from UC Berkeley with a Bachelor of Arts in Political Science, Asian American Studies, and a Minor in Education. While in college, Kathy advocated for stronger recruitment and retention of first generation, underrepresented students of color. Kathy is proud to return to OC Human Relations and work with the BRIDGES Program to help further opportunities for young people to make a difference in their schools and communities. She strongly believes that young people can use the tools of education to help make their communities a better place. Khushbindar Kaur Sood, Director of Development, (714-480-6582) joined OCHR in 2017 and has worked with non-profit organizations in Southern California for 17 years. She works closely with the CEO and is responsible for fund development and communications. She is a Certified Fund Raising Executive (CFRE), has direct hands-on experiences in health and human service programs, facilitated and lead collaborations and worked within a grant-making foundation. Khushbindar’s passion is in working with diverse groups and building capacity and infrastructure within non-profits. She earned the Bachelor of Science in Human Services from California State University of Fullerton and attended San Diego State University for a Master’s in Public Health Degree. Kristian Vallee, OC Human Relations Bookkeeper, (714-480-6570) first worked with OC Human Relations in the late 2000’s as the Camp Director for the BRIDGES program at the Bearpaw preserve. He has also worked as a Junior High school teacher in Orange County for 6 years. Kristian has a Bachelor’s Degree from UC Irvine and a degree in Accounting from Irvine Valley College. He is passionate about economic and social justice and in building positive community relations. Kristian welcomes the responsibilities of again playing a supporting administrative role in helping OCHR to grow and continue its positive effect on spreading awareness, teaching students to make their voices heard, and fostering a community in Orange County that is inclusive and safe for all its citizens. Lenora Forschner, Dispute Resolution Program Specialist, (714-480-6575) grew up on the outskirts of Mexico City. She is Bilingual in Spanish, and also speaks conversational French and German. She loves local and international travel, cross-cultural experiences, and meeting people with varied lifestyles and perspectives. She earned her Bachelor of Arts degree in Speech Communication from California State University Fullerton. Her interest in Conflict Management first lead her to OCHR in 1997, for Basic Mediation Training. She later became a Certified Mediator and an active Volunteer in OCHR’s Community, Civil and Family Court Mediation programs. She is especially passionate about helping to grow the Community Mediation program, and participating in Community Building projects. She brings experience from the corporate sector, in Human Resources, Facilitation, Sales and Management. Maggie Lauder, Restorative Practices Specialist, (714-480-6570) , has been involved with OC Human Relations since 2011 as a BRIDGES site coordinator. Before coming to the organization, she taught high school for 12 years in the areas of ethics and social justice. As a restorative practices specialist, Maggie’s work focuses on working alongside school communities to support the planning, implementation and support of restorative techniques to build stronger, engaged and connected campuses throughout OC. She earned her B.A. from Loyola University Chicago in Women’s Studies and a M.A. from Loyola Marymount University in Theological Studies. Marco Ortega, Restorative Justice Specialist & Mediator (714-480-6570) started volunteering with OC Human Relations in 2014 and became a staff member in 2016. 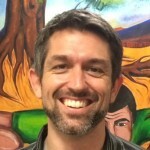 He currently works as the Community Case Coordinator for the Dispute Resolution Program and as a Restorative Justice Specialist at Dale and Brookhurst Junior High. Marco is also the co-trainer for the 40-hour Basic Mediation Training. He received his mediation training at the University of California, Irvine and since then has mediated a variety of school, court and community conflicts in English and Spanish. Marco has a B.A. in Criminology, Law and Society from UC Irvine and an M.A. in Negotiation, Conflict Resolution and Peacebuilding from California State University, Dominguez Hills. Maureen Dadabhoy, Human Relations Advocate (714-480-6579) graduated from California State University, Fullerton with a Bachelor of Science Degree in Criminal Justice and a minor in Business. She earned her master’s degree in Education and a Paralegal Certificate from University of California, Irvine. Maureen has worked as a teacher and served as Character Education Fellow with OC Department of Education. She is grateful for the opportunities granted to her and is dedicated to serving the community through training and education. MichaelAngelo Aranda Restorative Justice Specialist (714-480-6570) hails from the Los Angeles area with an extensive background in conflict mediation and youth diversion. He spent two years working closely with the Los Angeles Police Department, Los Angeles Unified School District, Compton Unified School District and Inglewood Unified School District implementing juvenile pre-booking diversion to the community. Michael graduated from California State University, Long Beach with his undergraduate degree in Chicanx/Latinx Studies and is currently earning his Master of Arts in Education (Option: Social and Cultural Analysis of Education). Norma Lopez, Commission Director, (714-480-6594) joined the OC Human Relations team in late 2014 and became Commission Director in 2016. She serves as executive support staff to the Human Relations Commission and leads the Community Building Team. Mrs. López has found that her purpose is unremittingly rooted in the idea that one must “help others achieve their dreams and you will achieve yours”. Consequently, Norma was able to find purpose as she took a leap into the realm of community organizing, social justice, and leadership development by joining the Peace Corps after completing her undergrad work. Through this journey, she discovered an unending source of fearlessness that has allowed her to follow the path less traveled both professionally and personally. Mrs. López is passionate about bolstering emergent change agents and is stimulated by building meaningful relationships that have enriched and expanded her worldview. Norma is bilingual and bicultural with Salvadoran cultural roots. She earned a Bachelor’s in International Studies from University of La Verne and a Master’s in Public Administration from Baruch College – The City University of New York (CUNY). Peko Gomis, Senior Community and Court Mediator and Intern & Volunteer Liaison, (714-480-6584) was born and raised in Senegal, West Africa. Peko graduated from University Caen, Normandy, France, with a BA in Languages with a concentration in English and Spanish. Peko attended the Basic Mediation training in April 1998 at OC Human Relations and volunteered hundreds of hours before joining the staff in December 2001. While working with OC Human Relations, Peko has mediated over one thousand cases in court and community settings in a period of ten years. For more than five years, he has been a co-trainer of OC Human Relations’ Basic Mediation Program, which is a 40-hour training that teaches new mediators how to mediate conflicts in the community and in court. Peko is fluent in Spanish, French, Mandjacque, Wolof, Diola, Mandingue, and Creole. Seema Shah, Training Specialist, (714-480-6578) , has been associated with OC Human Relations for over 20 years. She first became involved as a student in the BRIDGES School Program. Seema has been on staff since 2001 working with Orange County students and school communities on anti-bias, anti-oppression and restorative justice practices. Seema’s work focuses on working alongside school communities to support the planning, implementation and support of restorative techniques to build stronger, engaged and connected campuses throughout Orange County. Sheri Wingate, Office Manager, (714-480-6587) has been with OC Human Relations since 2005. Sheri is responsible for preparation of staff payroll and other staff related reports; management of the agency benefit packages (which includes Workers Comp, health insurance, Flexible Spending and a 401k plan); QuickBooks accounting tasks (check writing and deposits); maintaining office operations including equipment and facility issues; ordering supplies; preparing reports, letters and memos; and, database support and supervision of the Office Technician. She frequently acts as a liaison between OC Human Relations and our neighboring County agencies. Sheri has an AA in Human Services, along with certificates in Purchasing and Office Administration, and has worked almost exclusively in the Office Manager/Administrator capacity throughout her work life in both the non-profit and private sectors. Wesley Acker, Court and Community Mediator, (714-480-6590) graduated from Brigham Young University with a B.S. in International Relations and is working on an M.A. in Negotiation and Conflict Resolution. Having spent over 15 years teaching at university level, he became interested in mediation while teaching in Virginia, and became certified in Facilitative Mediation by the State of Virginia in 2011. After moving back to Southern California, he came on staff with OCHR and has worked in Civil and Family Court, and also their Restorative Justice program, in both English and Spanish. He has trained with IIRP and Kay Pranis in Tier II & III Harm Intervention, and with the Strauss Institute in Organizational Conflict Resolution. He is currently the Lead Trainer/Mentor for the OCHR Dispute Resolution Team.